On my most recent flight from Charlotte to Miami, I struck up a conversation with the two ladies seated in my row. Within moments of sitting down, they enthusiastically agreed that they hated flying, and then turned to me to find another soul who felt the same way. I quickly disappointed them. Perhaps this puts me in the minority (on yet another matter), but I love flying. I love the feeling I get as the engines throttle up, push me back into my seat, and launch us skyward. I love looking out the window and seeing the cities, mountains, and bodies of water from a novel perspective. It’s a perspective that few humans in history have been able to experience, and one that feels deliciously forbidden, as if we’re stealing it from the gods. All the people, microscopic from this vantage point, are going about their daily lives, completely oblivious to your world miles in the sky. Not only do I love flying, I love airports. This definitely strands me on another unpopular ledge of opinion. I love the overpriced food and beverage. I love the shops that sell nick-knacks that I’ll never, ever buy. I love walking from gate to gate to see where everyone is coming from, and where they’re going. In Charlotte, I found a flight headed to “Northwest Arkansas.” I thought to myself, “Isn’t that great? They’re flying to an airport that doesn’t even have a city attached to it.” Visions of a lone, possibly dirt, landing strip surrounded only by fields and the distant mooing cow filled my head. These visions are not unique to this destination, as each one conjured images, not a one of them based in reality, of all the wonderful places I could go from this hub airport. I believe my love of flying and airports is largely historical. I grew up bouncing between cities, homes, and parents. Getting on a plane always represented seeing those I loved and missed, and later on, it represented a chance to escape when life at home became difficult. Throughout my teenage years, the airport was the one place where I was untethered from the realities that awaited me on either side of my journey. The stress from fights and struggles between parents evaporated, if only temporarily, during a layover in Atlanta, or Cincinnati, or Detroit, or any of the other half a dozen hubs I might find myself. The airport represented freedom to simply enjoy life. Somehow, the place that was furthest from any of my homes, became the place that was closest to my heart, and the place I wanted to be the most. In a perverse sort of way, the airport became my home. There is a beautiful uniformity to modern airports, so no matter where I found myself holed up for a few hours, it felt right. All the shops and restaurants are similar, if not identical. The high, arching ceilings, and long, wide concourses all seem to be following the same sacred airport design, implemented years ago by some unknown architect. Part of me hopes for a delayed flight or an extended layover, so I can endlessly stroll these giant halls, occasionally window shopping, and often looking out at the great, stoic airplanes waiting to take their passengers great distances. Since my teenage years, the airport has come to represent much more. Now, it is a place where adventure begins. 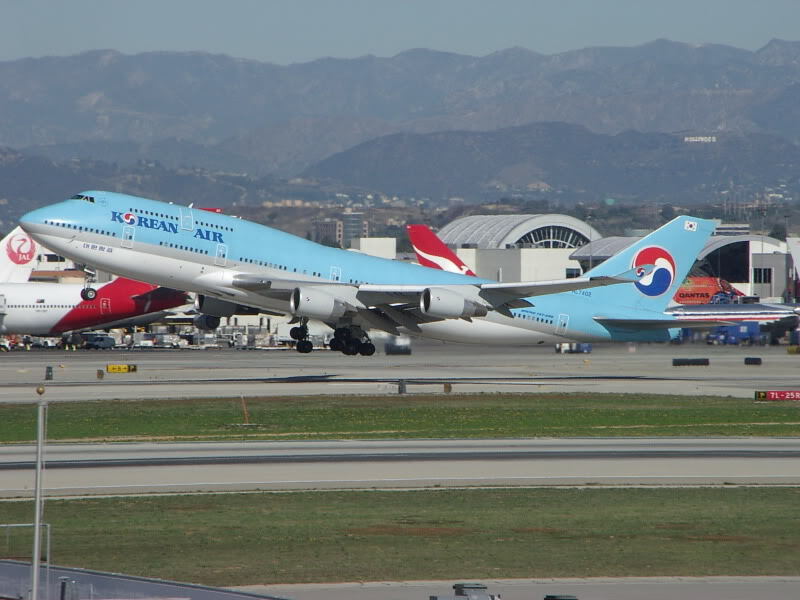 From the gleaming, multi-billion dollar Incheon Airport in Korea to the smallest dirt airstrip (perhaps in Northwest Arkansas), the airport has transformed our human experience, and has made the world an incredibly small and accessible place. The modern world might not exactly look like a scene out of “The Jetsons,” but make no mistake, the future is here. Even from my tiny, 12-gate airport in Knoxville, I can end up just about anywhere in the relative blink of an eye. I’ve been lucky to travel to as many locales as I have. Giant 747s and 777s have taken me to five continents. From the outside, I look at these great planes and wonder how they can manage flight, and once airborne, how can they manage to navigate such great distances? Of course, I’ve heard the complaints: long flights are boring, the food is terrible, and it’s difficult to sleep. These are generally true, but all with an asterisk. The inflight entertainment systems have vastly improved, and some movies they offer are actually watchable. If not, you can always entertain yourself with endless rounds of Tetris and/or Sudoku. The food might be barely edible, but I still love getting it. It’s a little slice of joy, and it helps to break up the monotony of a long flight. As for sleep, well, you can do that when you’re dead or fighting jet-lag, whichever comes first. Now, there is a new and terribly exciting reason to fly: love. Not love of flight, or love of travel, but love of a very special girl. The vast majority of my flights have been of the solo variety. The problem with being a traveler is that it’s difficult to find another traveler who is heading the same direction. Suddenly, I’ve found one. Bouncing around South America with her on planes, buses, and boats was a new and novel experience. I want it to be a regular one. I always look forward to my next trip to the airport, but now, the airport is not my destination, it’s the girl waiting with open arms once I clear customs.